Maintenance care is needed because chronic conditions can't be cured. Maintenance care in the chiropractic environment is only for those with a long, difficult and complicated history of pain and disability; nothing is going to cure these patients permanently. Many of the patients in chiropractic clinics have had pain for years. That could be true of someone of thirty five who fell off a horse as a child; or it could be true of any elderly patient who simply by virtue of their age has had issues for decades. On the other hand it could also be a person like an elderly lady in her eighties that I have been treating for the last year; she had an acute attack of lower back pain rather suddenly about a year ago and, despite medical treatment, is still being wakened in the night with pain down the thigh and lower leg; in the distribution of the sciatic nerve. In any of these cases a true cure is unlikely. In a similar medical setting, imagine a middle aged patient consulting a doctor for the first time; perhaps she has just moved to his or her city. She has had diabetes since childhood. She too won't be cured. In all these settings the person must accept that they are lifelong chiropractic or medical patients; a cure simply doesn't exist. Maintenance care is essential whether you have diabetes or chronic lumbar facet joint spondylosis. In both instances, much of the maintenance must be done at home by the patient. The diabetic must walk and watch their diet. The elderly too must walk, do certain specific back exercises and because of osteoporosis follow certain dietary recommendations too. That applies whether you live in the Netherlands, America or South Africa; it's simply one of things you have to accept and budget for. The more the home part is properly done, obviously the less the doctor's involvement; how we all love those patients who faithfully do their exercises, take walks and accept that the vacuum cleaner is not for them. They are far more likely to get better and stay better. 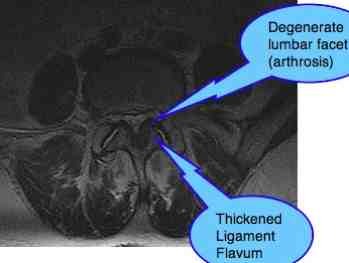 Notice in the MRI above that the lower back the chronically arthritic facet joints. Exercised every day with a simple pelvic tilt, and building core muscles, you are far less likely to develop a nasty sciatic nerve lesion. Maintenance care in chiropractic is needed because most chronic conditions can't be cured. One of the frustrations in chiropractic is that some patients, and their medical doctors don't accept the need for some form of maintenance care when it comes to chronic conditions; when the pain returns after some months they consider that we have not successfully treated the pain. Chiropractic has failed and, of course, in one sense it has. Nothing can cure neck pain, for example once you've had it for more than six months; that's what the research proves, no matter what the treatment. So, it's either some form of maintenance care or you'll be taking bucketloads of pills for the rest of your life; that often is medicine's solution. So, sometimes we come in for some stick, and are accused of milking our patients; to which there may occasionally be an element of truth. Is that unique to chiropractic? Are there medical doctors who milk their patients' conditions? There are rotten apples in every barrel. If you want to get better and stay on top of your problem, maintenance care is part of the deal. It seems to me that my patients in Holland were more accepting of this fact; perhaps because coming "under control" is a widely used medical term; it transfers easily to the chiropractic domain. But in South Africa patients do not readily accept the concept of maintenance care. Once the pain is gone, so are they. Hard cash may have something to do with it; South Africa is a relatively poor country, whereas Holland is one of the richest countries in Europe. Unemployment is low, and the work ethic very high. Two hundred and fifty rand is a good chunk of a South African's monthly salary, but fifty euros is not a whole lot to a Dutchman. Relative to income, the cost of living in Holland is much lower than in SA. The Netherlands is a country with relatively wise politicians, though you wouldn't believe that listening to the Dutch talking politics; compared to the rampant greed of the nouveau riche in South Africa, Holland is an ordered society. Sadly, for the majority in SA, especially the black folk, little has changed since 1994; many have now become nouveau pauvre. Do you subscribe to a word a day? You should, it's free, and you learn with great pleasure the beauty of our language; just google it. Certainly patients who come for occasional regular treatment appear to have less acute set backs; in the long run they actually spend less on chiropractic. Medical insurance research shows that those that those companies that include chiropractic care have a lower premium per patient. Where it hurts, in your pocket, maintenance care makes good sense in chiropractic just as it does in medicine; rather control and manage that diabetes than pay for blindness and amputation of a lower limb. It's no different for the chiropractic patient. It's also a lot less stressful for both doctor and patient. Acute setbacks of joint pain are hard on the supporting family, miserable for the patient and, yes, also pressure for the doctor. An ounce of prevention is worth a pound of cure, right? One of the alternatives to chiropractic maintenance care has been the use of chronic analgesic medication. However, now that Darvon and other drugs containing Propoxyphene have been banned (due to at least 2000 deaths in the last five years in the USA alone), the whole management of chronic pain is being called into question. Of course this website isn't entirely impartial, but the question needs to squarely faced: is chiropractic maintenance care both safer and cheaper than giving patients with, say, chronic low back pain or neck pain painkilling medication indefinitely? Once you factor in the cost of unnecessary cardiac ablations done for cardiac arrhythmias, one of the primary side effects of propoxyphene, I would suggest that chiropractic maintenance care would be highly competitive if only the bottom line was considered. So, there are two ways of going about this. Once the pain has gone and your doctor is confident it has healed, he may discharge you, remembering that fifty less pain is the dangerous time. Secondly, a regular but occasional treatment is best for chronic conditions; because the pain will come back. It's just a question of when. Do your stretches faithfully, and you may find your chiropractor moving you to the first of these two treatment paradigms. Building core muscles, care with heavy lifting and avoiding certain things like bad chairs, for example, is the secret to a difficult chronic lower back. My experience is that most patience need goading to stick to their exercise programs once the pain is gone; it's just one of the benefits of maintenance care. Both the Dutch and South Africans have serious weight issues; obesity means a lifetime of chiropractic, orthopaedics and medicine too. Knee replacements, chronic lower back pain and diabetes, just to mention a few. There has been renewed interest in the so called Banting diet. Whilst I have some reservations, it has one big plus; you don't feel hungry. There remains controversy however, as it's a very high fat diet; and oddly your cholesterol will drop, and you will lose weight. It's high glycemic carbohydrate like white rolls, potatoes and rice that raise cholesterol, not fat. One of the beauties of Holland is the easy access to delicious fish and plentiful omega 3. 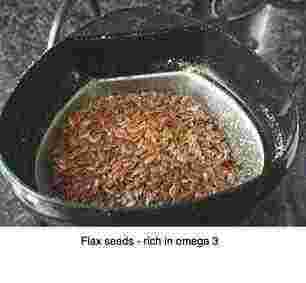 In South Africa we have to rely on freshly ground flax seeds for our inflammation lowering fatty acids. I have it every day with my oats based breakfast and in our low GI bread. 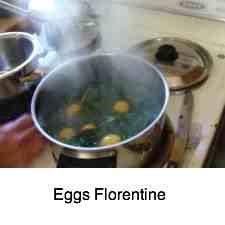 They are rich in phytosterols and lignans. Seriously, think phytosterols; these are the powerful substances in many of our foodstuffs that protect your body against the harmful effect of chemicals, hormones and viruses. One not unimportant benefit is less benign prostate hypertrophy, a perennial problem for the older man. Are you eating phytosterols every day? It's another good reason researchers say that we should grind our flax seed daily rather than take the refined oil. They also contain lignans which also have a powerful antiinflammatory and cancer preventing effects. Lignans, richest in sesame and flax seeds, but also in soybeans, like tofu, broccoli and strawberries, for example, are plant oestrogenlike compounds. They have two very important properties; reduction of menopausal effects like hot flushes and osteoporosis, but also they block hormones; read it from Wikipedia. Lignans bind to the oestrogen receptors in your breast tissue thereby blocking the cancerous effects of of your own hormones, and any you from meat you eat, for example, on your breast. More studies are being done on lignans for their likely effect on other carcinogens, say in the prostate and large bowel. AVOCADO BENEFITS include large amount of phytosterols. They also have a proven anti cancer effect. The B vitamins are centrally involved in methylating toxic products of protein metabolism like homocysteine, and no where are they better located than in dark green leafy vegetables. If you have a chronic condition requiring maintenance care, then chance are you also need a change to an anti inflammatory diet to calm the angry tissues. This eight colors eggs Florentine dish contains all those vitamins needed to neutralise homocysteine; choline, folate and B12. Plus it tastes damn good! Chiropractic is no miracle cure for most backs; it takes hard work on the part of both patient and doctor, the appropriate set of exercises, and a healthy choice of diet to get on top of difficult conditions. Maintenance care is just one model that swings the percentages in your direction.